The Cane Corso Pit Bull Mix will give you an extraordinary and powerful dog although the negative aspects outweigh the positive by crossbreeding them. There are many reasons why I do not agree with the cross breeding of these two magnificent breeds. As I mentioned they are both perfect breeds all by themselves and they are both bred for different purposes. Cane Corso’s are the ultimate guard dogs and Pit Bull’s have different functions such as protection work, herding etc. A Pit Bull is considered an all purpose dog. Cane Corso Pit Bull Mix | Why not to Cross Breed ? By mixing these two blood lines together it is possible to take away some of their unique identities. The resulting offspring may no longer be good for guarding purposes or they may take some of the Pit Bull’s characteristics. Another major problem is that these breeds can become extinct overtime. Our future generations may no longer find purebred Cane Corso’s or Pit Bull’s 200 years down the line instead they will find several mutts. Cane Corso’s and Pit Bull’s have a legendary place in the dog world and I would always want to leave it at that. Many dog lovers will also argue that a lot of these mixes end up in shelters due to poor handlers. 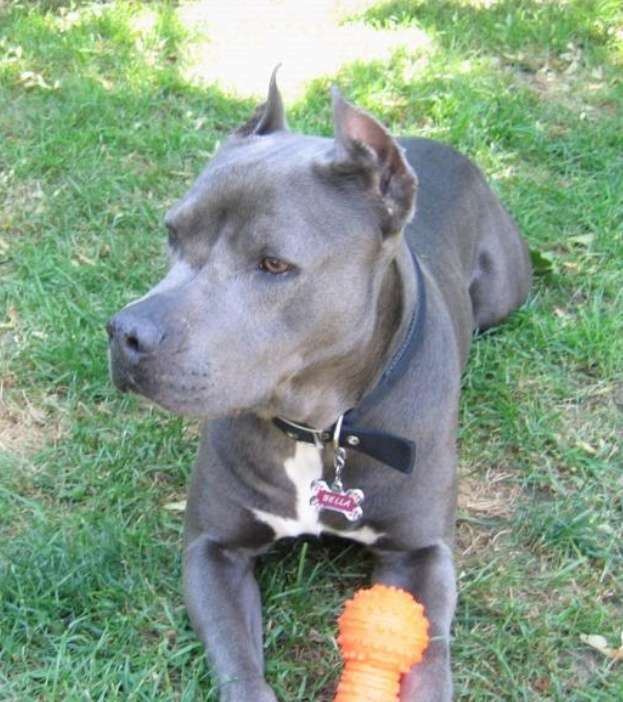 A Cane Corso Pit Bull Mix will have a high prey drive and requires a stern owner, these dogs must understand their place among the human family. There are also temperamental issues amongst the parent breeds you must know. Pit Bull’s can be aggressive toward other dogs if they are not socialized well or treated poorly by their human companions. I disagree that all Pit Bull’s are aggressive toward other dogs, I own an American Pit Bull Terrier who is as sweet as a dog can be with all animals around her. The result of her good behavior is from being raised around good human beings who never abused her in any way. She was also socialized very well from puppy hood. A Cane Corso is one of the best guard dogs you can own, they are extremely loyal to their master and are always on alert. The Cane Corso Mastiff also require a stern owner and early socialization. They can also be aggressive if not trained properly or are treated poorly. Unlike the Pit Bull, a Cane Corso can show aggressive tendencies toward people so it is a must to train them early. Cane Corso Pit Bull Mix | What to Expect ? Crossing these two breeds together will result in a mutt which can have any characteristics of both dogs. You can expect it to weigh anywhere from 70 – 115 pounds depending on the Pit Bull used for breeding. They may not carry out specialized tasks though they make great family pets if socialized properly. 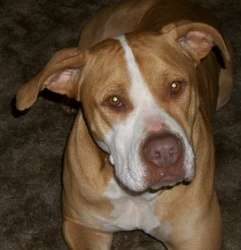 They will have short hair like the Pit Bull and can vary in colors. Although a rare gene, You can even spot a blue Cane Corso Pit Bull Mix if you are lucky. You can find many Cane Corso Pit Bull Mix dogs in shelters if you care to adopt. If you have kids at home it is however wise to get them as puppies and raise them with kindness and clear rules in place. Remember they can grow up to be very large dogs so prepare them and prepare yourself early. I have a two and a half year old bluenose Pit Bull / Italian mastiff which I rescued and rehabilitated he was starved and beaten when I found him so scared and confused, and now he is so amazingly obedient loyal and a very gentle and calming soul…when he came into my life as a 9 month old pup didn’t know how to go up down stairs run or what a ball was he now loves all living creatures and his toys… my beast is about 125 lbs and is a breathtakingly handsome if I may say… such loyalty and strength, but great power does come great responsibility he is so well mannered even as a 2.5 year old pup. I just purchased a 9-week old blue nose/cane corso mix today. She is so precious! I have a bluenose pit/ cane corso mix that is a year and a half, and he is awesome!! He is blue/brindle, and weighs about 100 lbs. He is very friendly towards people, but very protective of my family. He is very obidient, i have had hime since he was abt 7 weeks. I have a 5 year old Cane Corso pit and She is the best dog you could ask for…she’s sweet..love to be rubbed on…and very humble… been had her since about 9 months…. Great wit my son and other kids…. I have 2 nine month old cane/pitt mixes. They are incredibly gentle and sweet. They get along with my 4 other dogs, cats, and parrots. They are never aggressive or unpredictable. I think the article is too biased. They are easily trained and respond to verbal praise and reprimand with great sensitivity. I take mine to the pet stores and walk them around people……they love everyone. They remind me of a lab in temperament. Mine are black and fawn brindle at 140 pounds each. Beautiful dogs….. When you talk about not mixing the two breeds because two hundred years down then road one breed or both my not exist, is not a valid point. Two hundred years ago people were mixing old type English bull dogs and terriers to create what we know today as the pit bull terrier. Neither the bulldog nor the terrier are extinct today. Also, if people had not mixed those two breeds you wouldn’t have your “legendary” pit bull. That in mind you wouldn’t have a lot of the so called pure breeds. It is possible for any breed to become extinct if it is not a breed that is well known or not cared for by the public. If anything it is kennel clubs with non functioning standards that ruin a breed. Look at some of show quality German shepards or Bulldogs for example. There bodies have changed over the years for looks in shows than to function for what there perpose was for ” a working dog”. You will find most German Shepard could not jump and clear a 6ft fence. They have been breed bigger, heavier, and are not as porporsioned as they once were, and finding an English bulldog the can naturally give birth with out human intervention is almost non existent. I am not saying this to try and down grade your article, but you should know more about the history of dogs and there evelution before Saying not to mix breeds, and who knows two hundred years from now the corso and pit mix might be a legendary breed of its own. Thanks for the valuable input. You have a valid point sir but my point was that if you look at a dog such as the Dogo Argentino, Dogo argentino today exist and he is made up off multiple mixed dogs but one of the mixed dogs that created the Dogo, the Dog of Cordoba doesn’t. And you can’t use a Dogo Argentino to recreate the Cordoba. I have a 5 month old Pit Corso. He is wonderful- was easy to train, listens well, sociable and friendly. I would highly recommend this breed. My boyfriend is quite strict with him and I credit that to his behavior now. He has been trained to protect me, and follows me everywhere. It is nice to have such a loyal dog-especially at such a young age. That’s really nice to hear Jazmin.They do get a bad rap from the media and almost every occurrence the dog is abused or mistreated in some way. They make great pets as long as they have a strong handler. Thanks for stopping by. You can also check us out @ Face Book Group. I have a 5 month old brindle cane corso/pitbull mix (can we say a cane bull or pit corso? ), and although she looks very defined and intimidating she is very sweet and has not shown an ounce of aggression. We obtained a 9 week old cane corso/pitt last aug., she is a goofey beast, she is so playful, sociable, and sweet. Her favorite chew toy is our younger cat, who allows her to chase and nibble on her but lets her know when she has gone too far (our older cat just tells her NOT IN THIS LIFE!! and she totally respects her. Our 8 yr old rott/pitt loves her as well. To socialize her we have walked her around the neighborhood and introduced her to the children, and allow her to be out when we have friends over. (the rott/pitt gets put away because shes not so great around too many grown people. 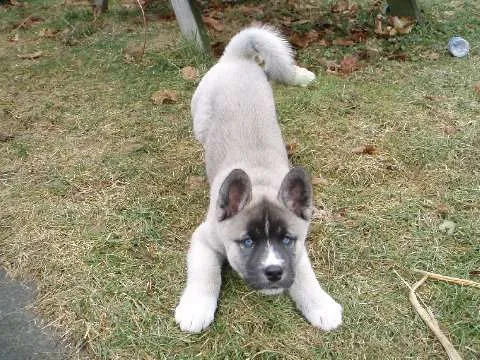 reepichhep’s father was a fence jumping total blue nose, (charcoal grey with a white dickey and feet, reepi’s coloring is a yellow with a half white muzzle with a black line going from her nose to between her eyes. She is striking to look at, and other than she has totaled the couch, she has been a joy to own. Hi Meg congratulations on your new puppy, I have a pit bull now she is a wonderful dog. My next addition would be a Cane Corso. They are such good loyal dogs. If you do get a purebred Cane Corso be careful to get them from a good breeder. They are prone to genetic conditions like hip dysplasia. My daughter had a litter Mom is pit and dad is Cane Corso they had a litter of 8 one blue and the rest brindle. All are gorgeous. We own a 14 month old Cane Corso/Pit mix Rescue that we flew up from L.A. He is totally laid back and has this almost aloof way about him. In Spite of so much negative publicity about the breeds especially Pit Bulls, this guy is a gentle soul who loves to socialize with other dogs. He loves to come in from a long walk and sit in front of the fireplace. He is a gem. I have a 3yr old blue pitt/Cane Corso mix Thor! Best dog I’ve ever owned! He is fawn/blue! Just beautiful! 100lbs! I have a 9 month old blue nose/ cane corso mix. He is already 95 lbs he’s an amazing black /tan brindle and he is the smartest loyal playful goofy obedient protective yet sweetest kindest and gentlest dog I have ever seen! I’m 35 years old I have three kids and I’ve had dogs my entire life yet I cannot think of a single dog I would recommend more so than this perfect breed! We have the perfect mix in an imperfect world. I hold this baby’s face to mine each morning as we say “good morning greetings”…..very social and protective. Even when we take him to the doggie parks, strangely he goes over to protect other dogs who are being bullied by other dogs. We did not train him to do. We are often as amazed as onlookers are. People at the parks all make remarks like….how did you train him to do that….well, we didn’t. Our Bruno is 1 year and three months at about 90ish pounds. The mix with this baby is a marriage made in heaven! We got him at 8 weeks old….never a dull moment at my house. I own a Schweisshund, most respectful and loving dog. My neighbours, a family of parents and 3 young adult girls own a pit/cane corso mix since January. He is now 11 months old and everybody in the house is afraid of him. Yesterday I walked into the elevator and he instantly jumped up on me and “grabbed” my upper arm. Nobidy can handle this dog. Lots of shouting but the dog does what he wants. Too many people, no consequences, their first dog. He already bit 2 dogs and I’m staying away with mine. She usually is friendly or indifferent but this dog, a male st that, she hated from day one. He will not pass the test in 7 months, and I sincerely hope, he’ll be gone then. This is not a dog for first owners and for soft treatment. And to think that the wife was afraid of dogs until I introduced her to mine. I have a Brindle cane corso and a blue nose pit.. They had puppies and know I have 2 left. My cane corso is the most loyal dog very protective. My pitbull she is the sweetest dog ever. I recently just got a 10 month old cane Corso/mastiff mix and he is a huge pile of nothing but affection and craves love and attention. He has become an instant protector to the house and myself so much it is scary to think of what he might do to a stranger who ever thinks of tresspassing. Outside of the yard on walks or at my daughter’s softball games he is a bit weary of strangers but soon craves the compliments and attention they give him because he is such a beautiful specimen. He is not very fond of other animals something I believe came from him not being socialized when he was younger and now I wouldn’t even try to have him interact with another dog because he is a very strong 90lbs and seems to be getting bigger every day. It’s a good thing he was well trained by the person I got him from who actually rescued him from the let’s just put it nicely neglectful 1st owner and listens to me better than a dog Ive raised since they were 2 months old. I like the fact that I can leave my back door open all day and night and sleep comfortably knowing he would not allow anyone to come try and hurt me or my gf. So far the experience has been all positive which I hope continues. I just recently got a red fawn and white Corso Pitbull mix. He’s a pretty cool little guy. 15 pounds at 11 weeks. His dad is a 150lb red Corso and his mom is a tiny 40lb blue pit sonit will be interesting to see how big he gets. I’m thinking around 80-100lbs he’s got some legs on him already he’s a pretty sticky little guy. Really loving dog only hung is very nippy. Likes to bite but that’s most puppies. Great around children so far and other dogs. Ok, I didn’t agree with much of this article, but will say, the Cane Corso pit mix can be extremely dangerous in the wrong hands, and needs experienced owners. I have bred these before, and know all about them. This is the cross that is winning the world bite force championships. And my brothers dog smashed the world high jump record with a 14 foot leap. I got to disagree with your saying pits were all purpose dogs and herding dogs, and your history of the Cane Corso that was used for that purpose, as well as guarding. 27 years ago I actually wrote much of the history of the Cane Corso breed you find on the net today, and you are badly shorting that breed. Over 2000 years they have done everything, and continue to this day. I agree, thank you for your input. My family and i are dog lover i currently have a chocolate cocker spaniel supper sweet has to always have body contact it seems he has instinctual aiming everytime he goes to lay down half of his body is agains someone’s feet or legs….can get a little annoying with his BARKING!! My son and his girlfriend have a bluish cane corso, Pitt mix they saved him from the humane league at 9 months, now 1 yr. His big head is all pit and the body of cane corso very gentle and silly. They have been struggling to have him gain weight. He body is long so he looks even thinner. Any suggestions?